The name 'Gomawo' itself is actually a korean slang for 'thank you'. 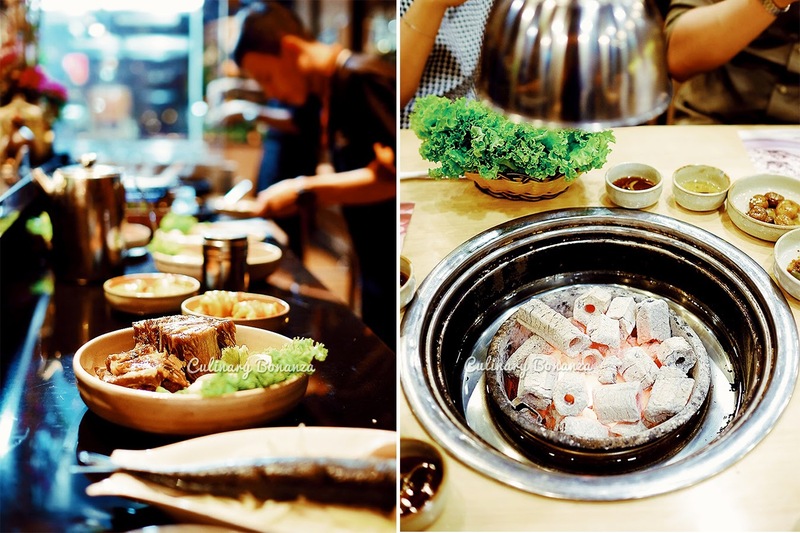 It's about the passion of one of the founders, who dedicated himself to learning the art of Korean grill and cooking, that he spent not less than a year in Seoul, South Korea to learn from the locals. Talk about dedication there! 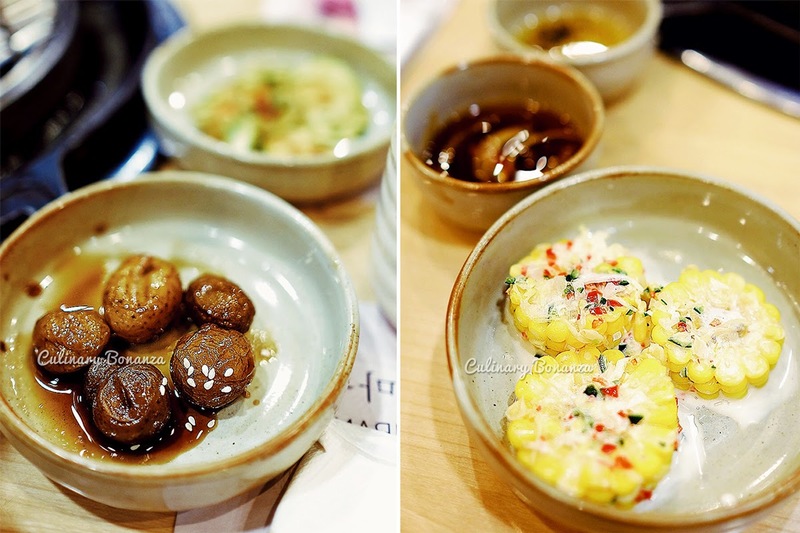 Anyway, just to share and illustrate what little experience I had with Korean food, actually before I started blogging, Korean food never made my list of craving. At most I would know of bibimbap and that's about it. Well, it's not that I don't like meat or Korean grill, but my friends and family were never that adventurous to eat at a Korean restaurant, much less at a Korean grill. In Jakarta, it is an undisputable fact that Senopati and its vicinity is an area packed by expats and quite curiously, Korean expats. Hence, that area has one of the highest density of Korean restaurants. 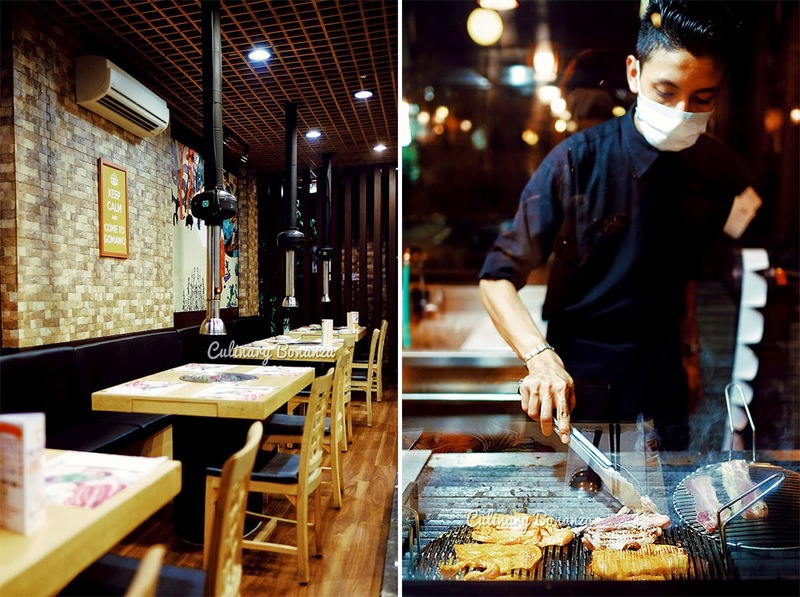 Nonetheless, a Korean grill in other parts of the city like north Jakarta is not unheard of, such as in Pantai Indah Kapuk's (predominately indonesian chinese residential area) thriving food hub. One of them is Gomawo Korean Grill & Restaurant, which I'd visited sometime ago. 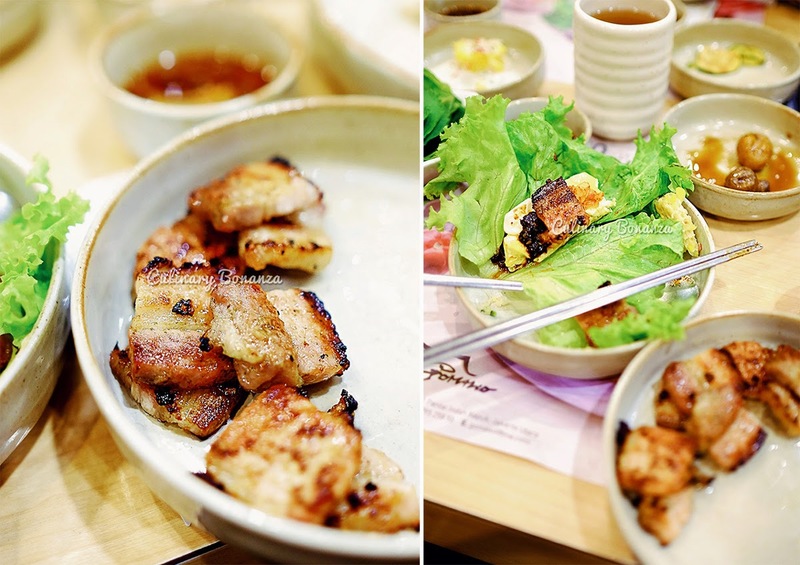 Gomawo's menu is dominantly meat (like duh! ), various choices of different parts of beef and pork, and non-meat Korean traditional food such as ramyun (noodles), jigae (soup), twigim (tempura), ddeobokki (topokki / rice cake), bibimbap, japchae, etc. The table was full (with banchan) before the meal even started! 8 Flavours Samgyeopsal - thin slices of pork belly in 8 different marinades: garlic, curry, honey, wine, herbs, cheese, seaweed and gochujang. This is the signature and must-order item on the menu. It's like a dream come true for pork belly lovers! If you're feeling Korean, eat the grilled meat like a true Korean would: with a fresh vegetable wrap, add kimchi and a little chunjang, just like what I did below. 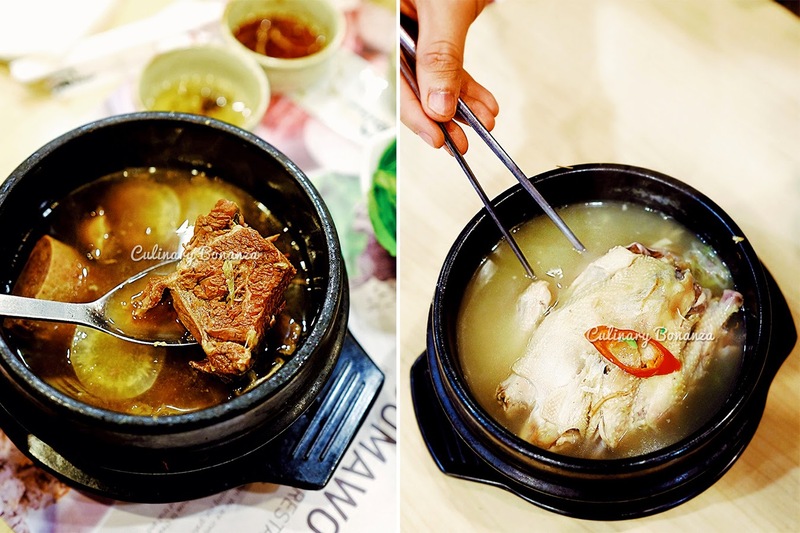 - Samgyetang > young chicken soup, with ginseng, sticky rice and nuts. I'm quite pleasantly surprised that both the soup were tasty and the meat so tender, they fell off the bone! Each soup was enough to share among 2 persons. Buldak Chicken - stir fried 'fire chicken' topped with melted mozzarella cheese, with choice of spiciness level from 1 - 10. It was not bad, but it's just that I've had a slightly more addictive chicken buldak than this one. After my encounters with grill and barbecue restaurants, I can now understand and appreciate the art better. Nowadays, I'd even crave for a bowl of dolsot bibimbap, with cracked crispy rice and moist rich savoury toppings. But my friends opted for the non-dolsot, so the bibimbap came served in a normal bowl instead of a hot stone bowl. Yumms! Dessert, now where's the dessert? I can't live without it? But seriously, after the huge meal we've had, I was actually quite grateful that there's no dessert on the menu. This is PIK after all, where the nearest dessert stalls are only a stone's throw away, quite literally. There are proper and nice dessert houses around PIK, so the absence of dessert on Gomawo's menu is not a problem. But if I recall correctly, I remember seeing Korean ice cream on display at the restaurant. I may have been mistaken, so just ask the staff. For all the treats, Gomawo is reasonably quite affordable for the quality and quantity that you get.